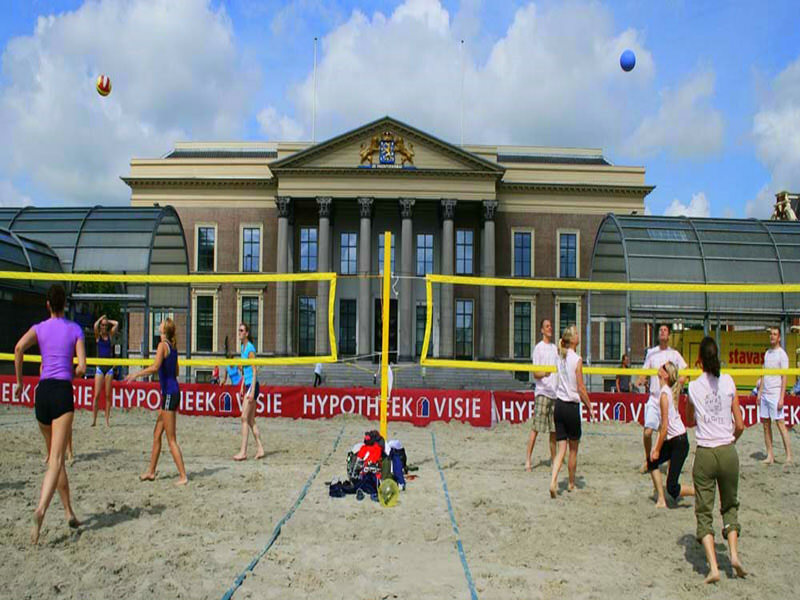 Thé competition volleyballnet that meets all the requirements of the FIVB. 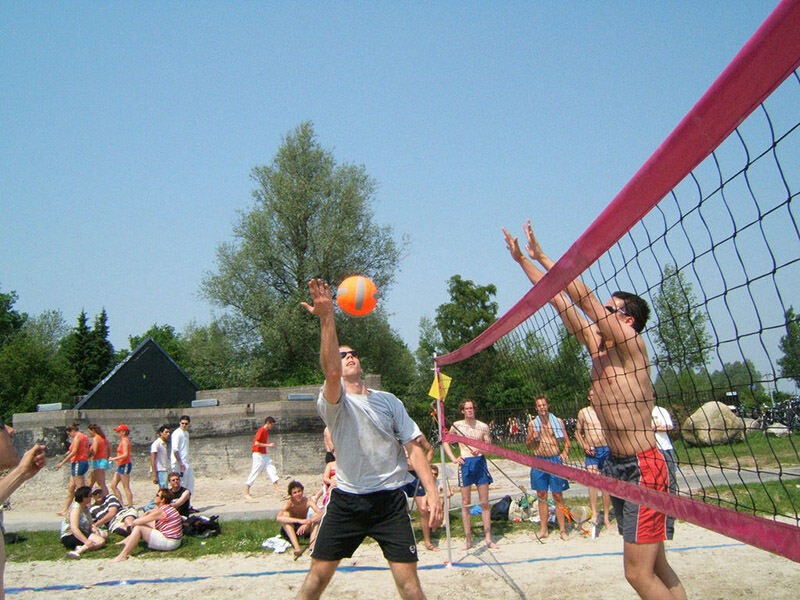 Thé competition volleyballnet that meets all the requirements of the German Volleyball Association. 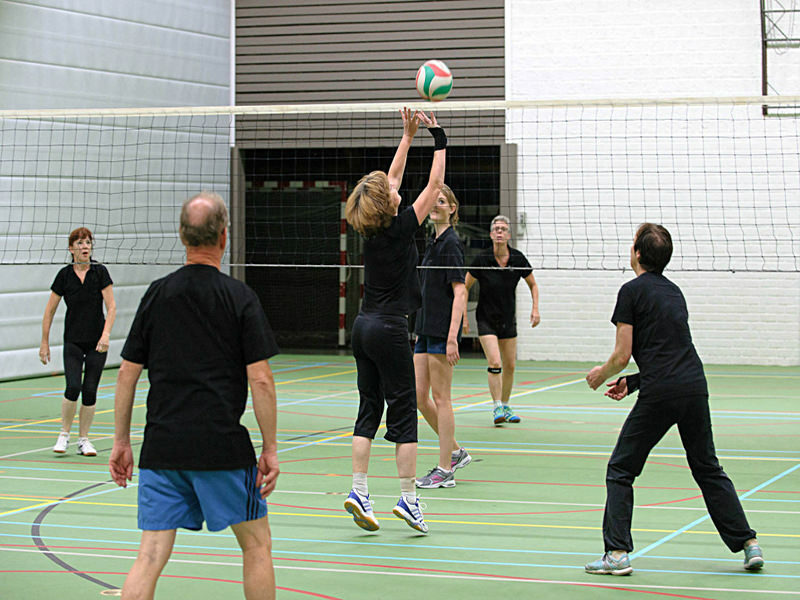 This volleyball net has white band on top and sides, the bottom is finished with a border line. 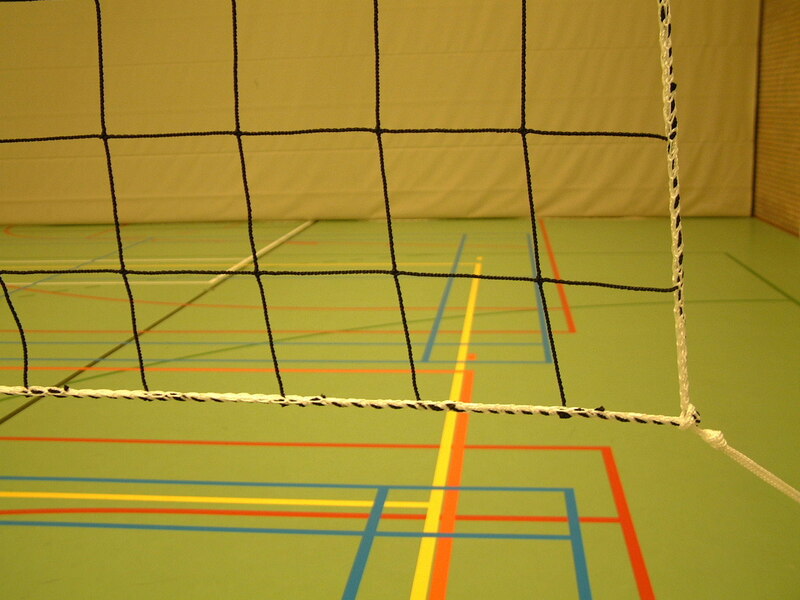 Volleyball net top with white band and kevlar cable in top, side and bottom finished with edge line. 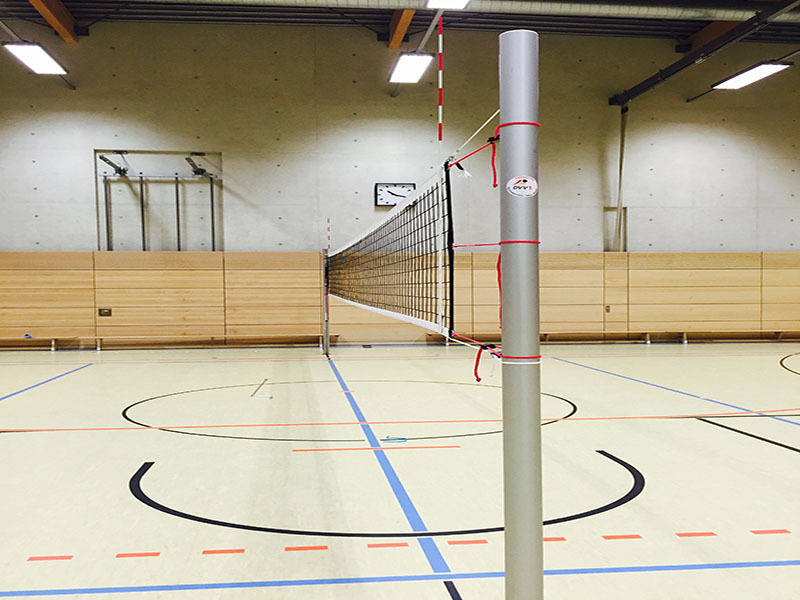 Volleyball net top with white band and steel cable, side and bottom finished with edge line. 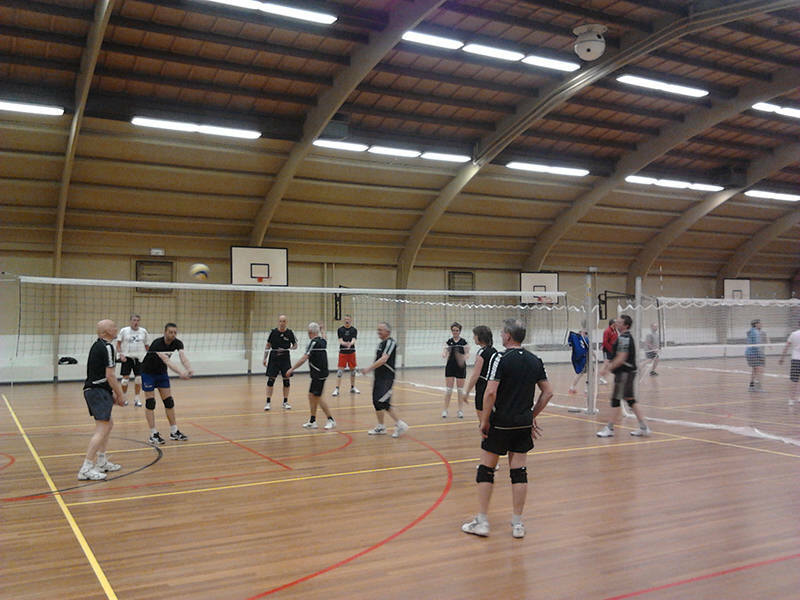 Volleyballnet all around finished with black edging line. 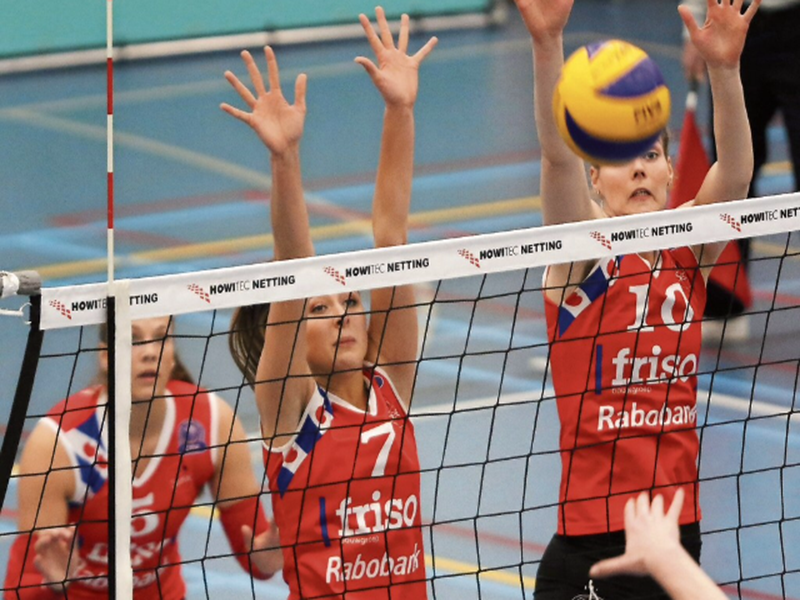 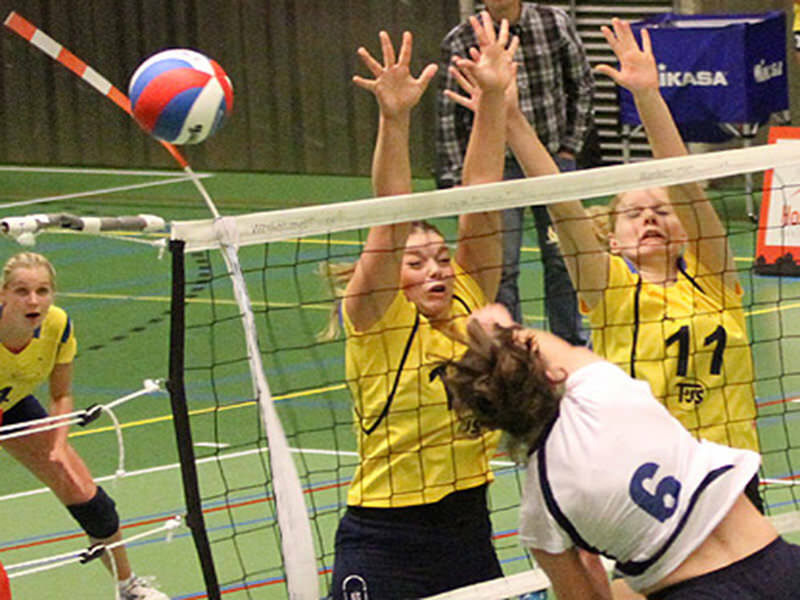 This net meets the requirements of the FIVB, so it can be used for official competitions. 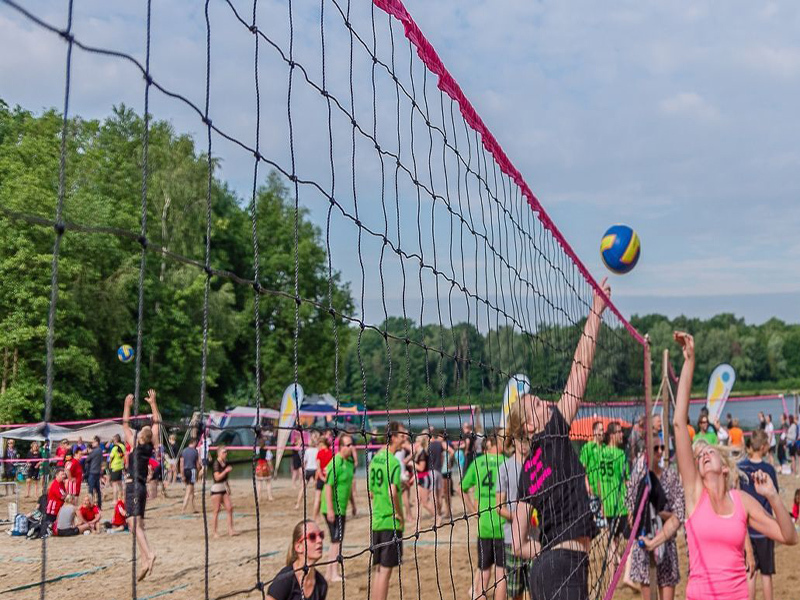 A simple beach volleyball net where the sides are finished with a pink PVC band. 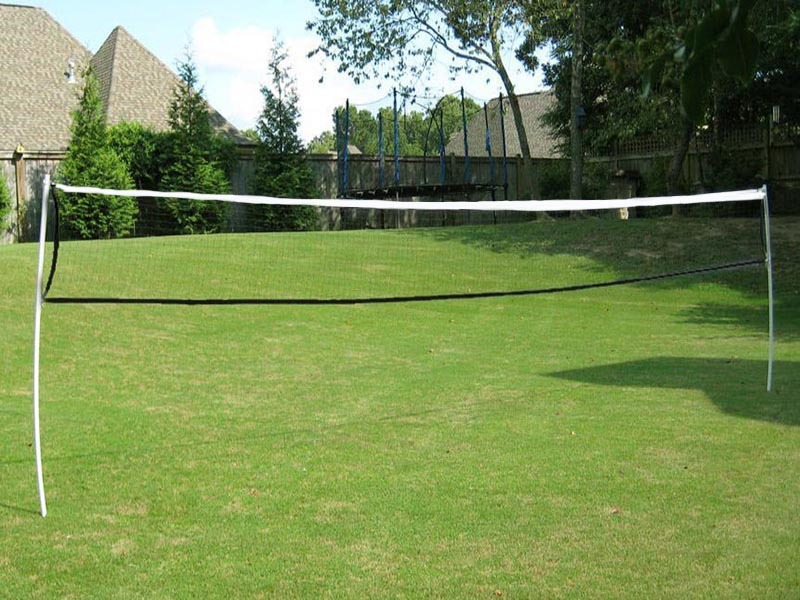 A complete set, including net, poles, tension lines and playing field markings.